Potter family. In the piece about The Magical Congress of the United States (MACUSA), a list of the original twelve American Aurors was revealed. 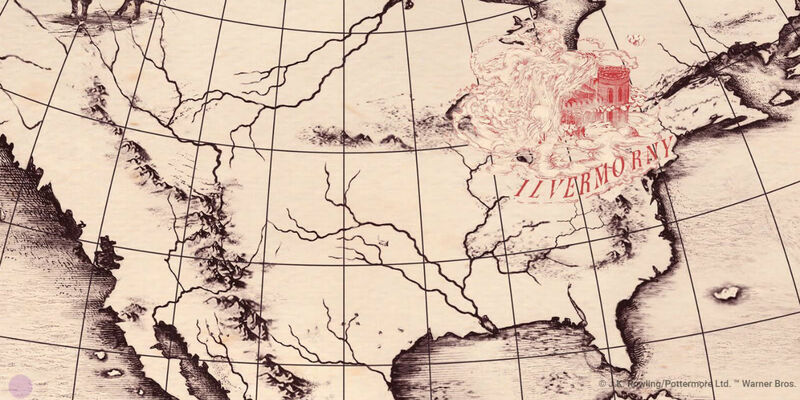 Among those twelve was a wizard named Abraham Potter, who lived in the US around the turn of the 18th Century. Although it could easily be dismissed as a coincidence -- Potter isn't a super uncommon name, after all -- it's become safe to say that there is no such thing as coincidence when it comes to J.K. Rowling's writing. According to Rowling, Abraham Potter's "distant relationship to the famous Harry Potter would be uncovered by eager genealogists centuries later." At some point, the Potter family tree must have branched off into America from Great Britain, like so many other Muggle families did during that time. Since there are five Fantastic Beasts and Where to Find Them films in the works spanning from 1926-1945, it's possible we'll get to see James Potter's parents, Fleamont and Euphemia, on screen at some point.